About this much, give or take a bag or three. I’m old, tired and lazy and have nobody to nag me, so I take it out only occasionally, partially because the dumpsters are quite far away and nowhere near where I park. 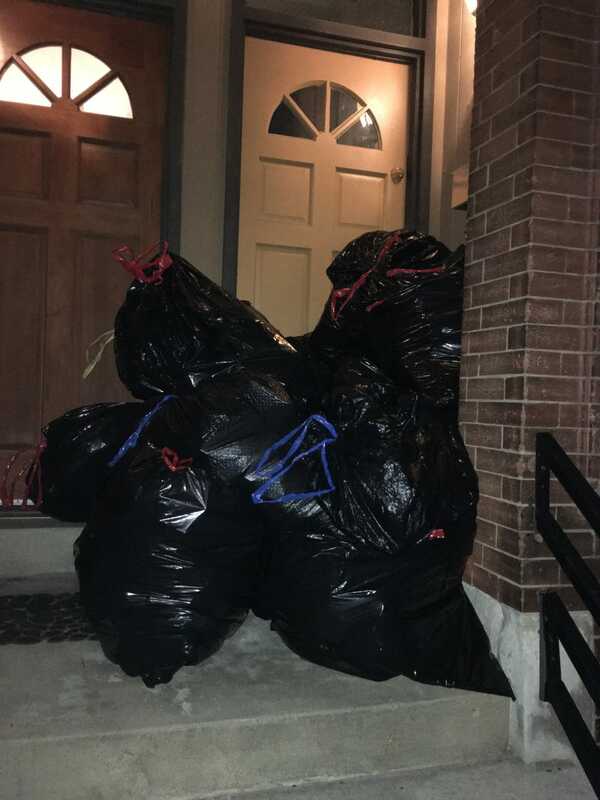 Since Christmas last year, which I think was the last time I did a garbage purge, it’s either been too hot or too cold, but tonight it’s in the mid 60s and breezy, so I figured I’d finally get this task out of the way. 200 mg of caffeine also helped boost me up a tad. There’s still a few things that need to go to e-waste, namely a pile of gutted DVRs and things like that, and once I find a hazmat drop event (and make a little more room in the car), I’ll take care of that.